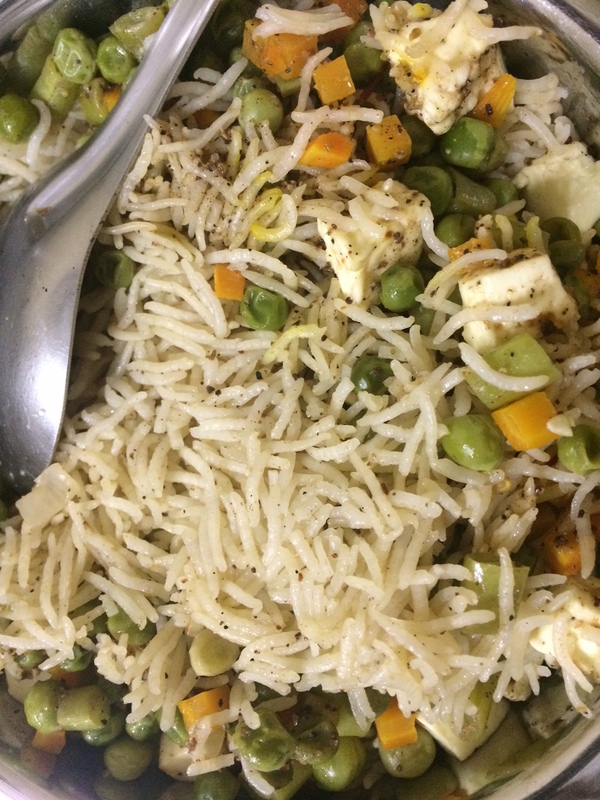 The Dum Biriyani was a huge hit and Manish even got it for lunch the next day !. The next morning I made the OPOS Ishtu and we got the Appam dough from a store nearby. Again, Swati, Manish and the kids loved it and Swati is completely a convert. Her initiation into OPOS will be completed in Gurgaon. 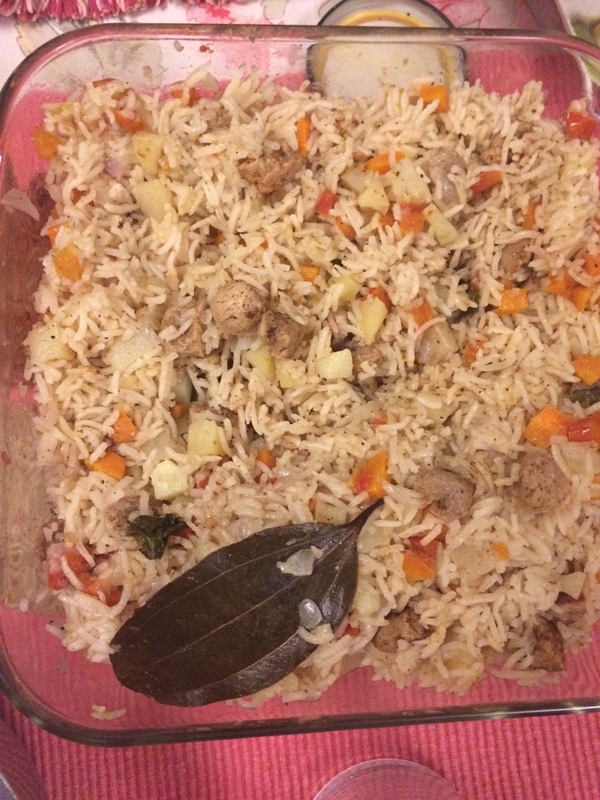 I made the Dum Biriyani the OPOS way. OPOS (One Pot One shot) is a cooking revolution developed by Ramakrishnan (RK as he is better known). Its not just cooking everything in a cooker but more like a science experiment because the fundamental rule in OPOS is anyone cooking should get the same results. The recipe cards are just one page long and the measurements are exact. Just see the OPOS Dum Biriyani video – https://youtu.be/Mm8nDFiwMdc. RK is almost fanatical about people using the standard equipment – a 2 lit cooker and measuring cups. Indians struggle with “process” and a SOP (Standard operating procedure) but thats the only way one can ensure the food tastes the same whoever makes it. I also think people struggle with the demystification of cooking … no “hath ka jaadu” (the magic of a great cook’s hand). I have no problems in following a SOP – saves me the time and trouble of figuring things out and the end result is great tasting, freshly cooked home food. So why complain? OPOS removes the drudgery from cooking and makes it fun. Krishnan made Rasam on his own the other day and he got it right without either mom or me giving him any directions :). The only advantage he had was access to all the equipment since I am an OPOSer. I tried convincing two more of my friends, Vidya and Usha on OPOS but I didn’t have the time to cook something and convert them as we were running around to get the car fixed and do the one day Coorg trip. So the OPOS conversion is deferred a bit for them. I make “sooji ka halwa”, Kerala Ishtu, absolutely amazing Kurma, Paneer butter masala, methi mutter masala and the Bhapa Doi almost on a whim. The best part about OPOS is the small quantities that I can make – we are not big eaters and making smaller quantities is a boon. Ofcourse if we need to make larger quantities the recipe can be scaled up effortlessly. Restaurant food is suddenly uninteresting ! Do read my earlier post – Don’t oppose cooking – Do OPOS cooking!. Ok ok … I will back off. But seriously everyone should try OPOS. Its truly magical. Just get onto the OPOS Facebook page – its called OPOS School of Foodcraft and Wizardry and subscribe to the OPOS You tube channel. Follow the SOP and Experience the magic! Right RK? Note : You can also buy the OPOS Cookbook – 5 minute magic on Amazon.